Platinum level document technology partner. 2014 newcomer of the year in the country. Proud sponsor of Holly Springs Salamanders. From small offices to large departments, Xerox printers and multifunction devices/copiers offer a range of features and capabilities to satisfy every office printing need. When you add software solutions to the equation, you’ll multiply your productivity. As an authorized Xerox partner, TRIANGLE BUSINESS SYSTEMS INC can help. Could you use help cutting hidden costs in your office? Download a free tip sheet to help make cost control a routine priority: Ten Ways to Take Control of Hidden Costs at the Office. From any mobile device to any brand of printer, Xerox® Mobile Print raises your productivity everywhere your business takes you – whether you’re out and about or simply in another part of your building. 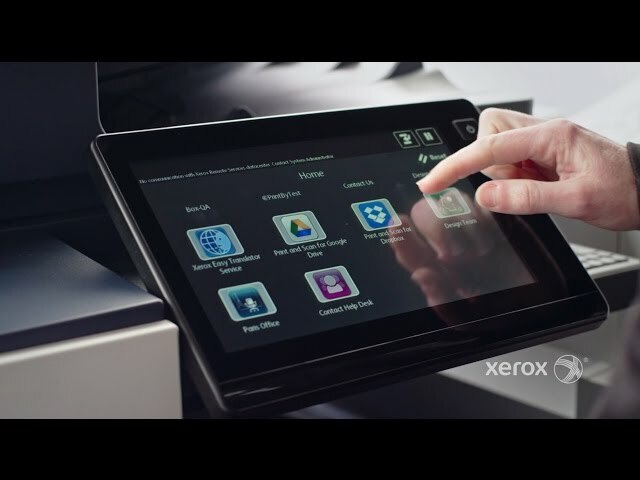 Xerox® makes mobile printing simpler and more convenient, while keeping your business secure. We can reduce your print and copy costs by as much as 30% while improving your company’s document production capabilities. Outsourcing of support services like networked printing allows you to focus your energy on your core business, while we handle your printer monitoring and management, toner and solid ink fulfillment, support services and much more. As a Xerox managed print services provider, we use proven tools developed by Xerox to help you reduce your printing support efforts for multiple manufacturers, budget more accurately and manage printing costs with predictable monthly billing. We can show you how to capture those savings with a program for just a few printers up through an entire printer fleet. View more details on how Managed Print Services can help your productivity, cost savings and security. Getting the full value of your investment means working with a partner who, along with knowing the ins and outs of MPS, will take the time to understand your business and identify opportunities to streamline document processes. TRIANGLE BUSINESS SYSTEMS INC provides full-featured managed print services and supplies for your entire multi-vendor print fleet or just one network device with support for Xerox and non-Xerox devices. We can manage and support your existing office printing environment, break-fix, service level agreement and toner and solid ink replenishment. Whether you already own a Xerox® printer or multi function printer (MFP) or are ready to trade up to Xerox value, we have a rebate program to make upgrading worth their while. Upgrade to an award-winning Xerox® color or black and white printer or multifunction printer. Instant savings and additional rebates are available for many models. Get rewarded for buying the supplies you already use. Now printing with Xerox is more rewarding than ever. Earn reward points every time you buy genuine Xerox® supplies or register equipment. Redeem your reward points onlinefor valuable merchandise. Enroll Now and earn 1,000 reward points instantly. Supplies Assistant monitors your network printers and automatically generates a supply order when ink or toner runs low. With a few clicks, you authorize and send in the order. We will confirm your order and ship it. In today’s business environment, you’re under constant pressure to improve your productivity. Our reliable copier systems help by creating, managing, and distributing documents faster and more efficiently. We are in the business of helping your business.